When we talk about budget smartphones in India, we talk about phones under Rs 15-16K. Right now, the best you can get under this price includes Redmi Note 5 Pro, Asus Zenfone Max Pro M1 and the Nokia 6.1 Plus. The Asus Zenfone Max Pro M1 seems more feature packed than the other two as it has a massive 5,000mAh battery, the same Snapdragon 636 Processor, 6GB RAM, a triple card slot and more. Unlike the Nokia 6.1 Plus and the Redmi Note 5 Pro, there is no Electronic Image Stabilization on the Zenfone Max Pro M1. But, thanks to an XDA Member, there is now a way to Enable EIS on Asus Zenfone Max Pro M1 and that too, without the need of installing any other camera app or rooting the device. 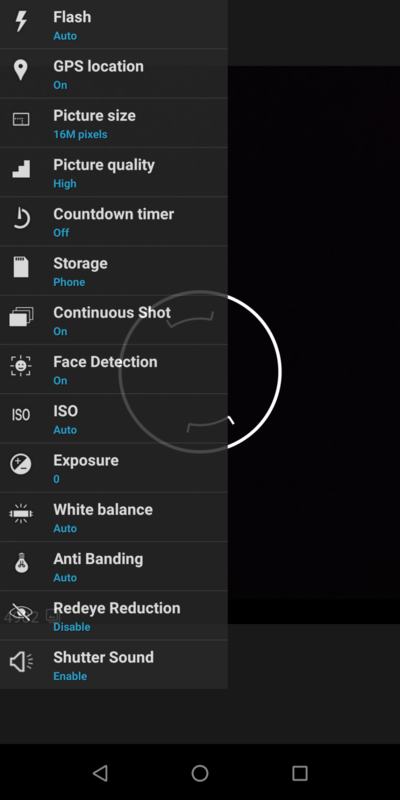 The stock camera app on the Zenfone comes with the Image Stabilization option, but that is kept hidden inside the camera’s developer options for some reasons. Open the Stock camera app and then, tap on the settings icon on the top right. When you see the settings, find the ‘Redeye Reduction’ option and tap it 7-8 times. This will enable the Camera’s developer options. Now, you will see a ton of new options in the settings that weren’t there before. But, to enable EIS on Asus Zenfone Max Pro M1, you need to change the mode to video. Once you are in the video mode, tap on the Settings icon again, and in the settings, you will now see a new option that says ‘Image Stabilization’. Simply tap on it and Enable it to Enable EIS on the Max Pro M1. You need to keep in mind that EIS works only with 1080p video recording and below. It won’t work if you try to record in 4K resolution. So, that’s how you can enable EIS on the Zenfone Max Pro M1 without rooting it or installing any other camera app. One suggestion that we would like to give you is to install Google Camera on your Zenfone Max Pro M1. You will be stunned while comparing the images from Google Camera and those from the Stock camera. The Portrait Mode of the Google Camera app is simply amazing. Also, there is an option of ‘Video Stabilization’ in Google Camera, so that’s one more good thing, right? We have already written a post on how to enable Camera2Api on the Zenfone Max Pro M1 without unlocking bootloader, so check that out if you want to. And if you want to know the Working ways to change MAC Address on Android, then you can check those as well. If you have any doubts regarding the steps mentioned above, then make sure to let us know in the comments section below. Can we enable EIS in the 4GB variant? Yep. In fact, in an upcoming update, the company will enable EIS for the Zenfone Max Pro M1 so no more need to get into camera’s developer settings to enable it.